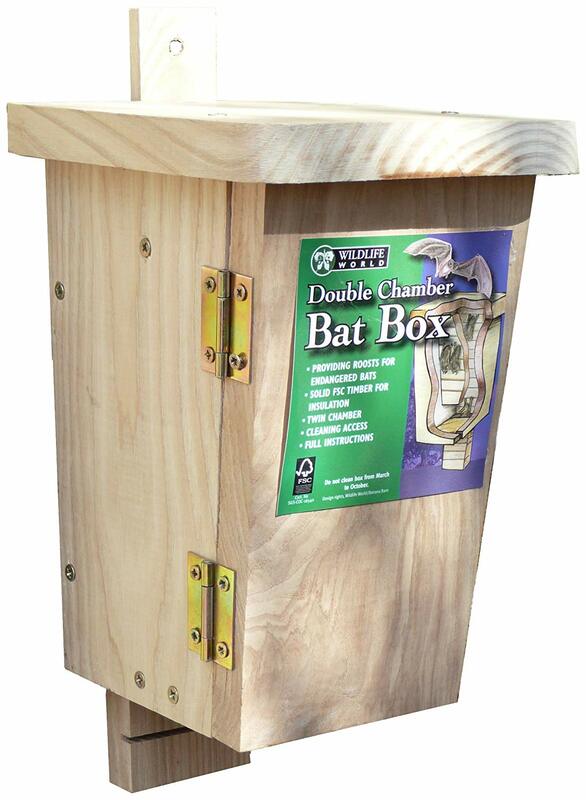 This natural and attractive double chamber Bat Box provides roosts for bats and will fit into any garden, woodland, or a house wall site. 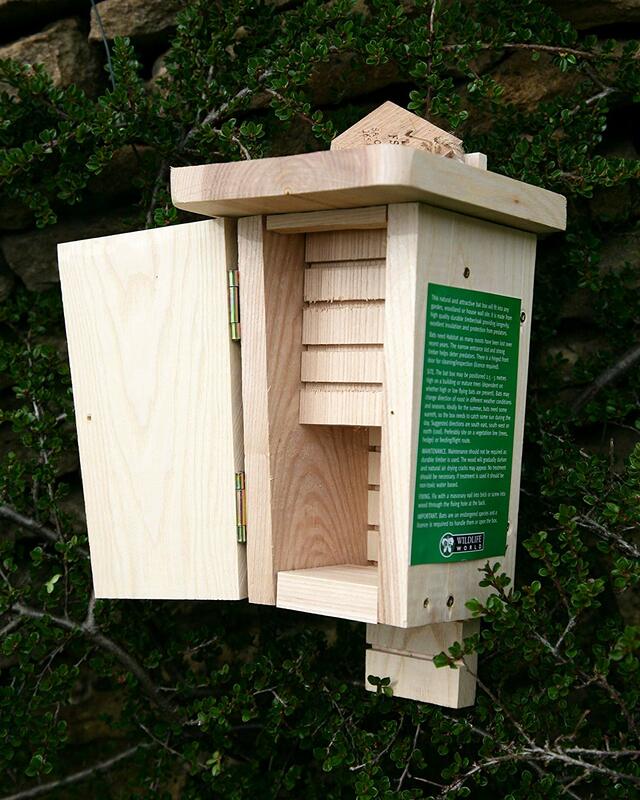 It is made from solid, high quality, durable timber which provides longevity and excellent insulation. Bats are in need of habitat as many of their roosting places have been lost over recent years. The narrow entrance slot and strong timber help to discourage predators. A swing panel at the base allows for cleaning, if required. Simple to install/erect, the naturally durable timber construction requires no annual maintenance.